Does anyone have any information about having a wedding reception at Casa de Espana? We are getting married next winter and are looking for a wedding reception venue for 60+ guests. Casa de Esapana looks beautiful, but I can't find any information on the Internet regarding costs or details about having an event there. 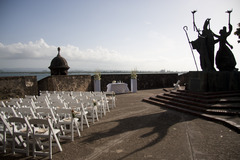 Any information is welcomed--or any other suggestions for wedding reception places in San Juan. Thanks! 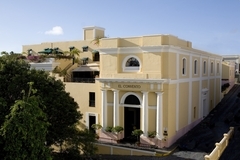 Try El Convento Hotel in Old San Juan. I am considering having my wedding there next year. I'm having my wedding and reception at Casa Espana in January. In my search, it was the most affordable choice - especially because you can bring in whatever vendors you want! For details, contact at Veronica at [email protected] They also have a facebook page with all of the contact info and pictures. Also the Convento Hotel as suggested previously is a great and very romantic place to get married, very closed to beautiful locations. we have several weddings videos at my blog To get more information about the Convento you could ask for Adriana Paola, one of their wedding planners. We are very happy that you had chosen this beautiful island to get married. Thank you for choosing San Juan, PR for your Destination Wedding. Contact us at [email protected] so we can prepare you a proposal for your wedding reception! We were going to have our reception there and ended up loosing our deposit which was quite substantial. At the end of the day you will not save much by having it there. Also the hassles of bringing, setting up everything and cleaning up afterwards. Unless you have a coordinator that is really good and will take care of every detail I wouldn't recommend it. Very hard to find a coordinator that is really good. If you find a good coordinator, it will cost you quite a bit so you might as well have it at a location where they take care of everything. We visited the place a couple of times before a wedding was about to take place and it was sooo dirty. They promised cleaning it but they really don't do a good job. In addition the place is quite run down. I suggest you visit it and see for yourself. We ended up having it at El Convento which is somewhat the same feel but just sooo much nicer. Thanks for the information. Let me know if you have any other suggestions in addition to the El Convento, which we may check out. 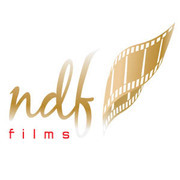 For an excellent and afordable videographer please email to [email protected], Thank you. What is your budget, there are more affordable locations, I'm wedding planner current traveling in Europe for a month. An optimal combination of both can help your business to lower inventories, make them more flexible as well as allowing multi-location planning so that production is not hampered by potential problems and continues in a smooth flow. First, you should know that the power cannot be turned off while the printer is sending or receiving a fax, or when received fax is being stored in the machine’s memory. Ensure the machine has completed sending or receiving all the faxes then disconnect the power cord.